Porch is an online website that connects homeowners with local home improvement contractors. The site also features advice articles, cost guides, and online booking for over 160 common home improvement, maintenance, and repair projects. Our vision: To realize the potential of every home. Our mission: Every project done, every customer satisfied. Home is where your dreams live. We built Porch to help turn those dreams into days that you can live and cherish. Integration with ISN: Home Inspectors can offer the Porch Home Assistant Gold to all of their clients, for free, through the ISN, and in turn have their ISN fees sponsored. The Inspection Support Network has established a valuable working relationship with Guardian Financial Services for your credit card processing needs! They continue to offer the best pricing and customer support for all of our ISN users! Integration with ISN: the ISN works seamlessly with Guardian’s gateway (authorize.net). Serving home inspectors (like you!) since 1998, we help increase your revenue, maximize your professional image, and make your life easier, giving you the competitive edge. We are not a call center, but your personal office, handling your calls, email leads, online orders, and bookings the way you want them done, always going above-&-beyond for you. To your callers, we are your friendly and very knowledgeable office right down the street! And our service to you more than pays for itself…no more missed calls, your callers are impressed, more inspections for you. Plus we do the follow up calls and legwork to ensure your inspection bookings are polished up, finished up, and ready to go for you, further making your life easier, taking stress and work off your shoulders. We are your trusty office, always going the extra mile for you, in every way, all the time. And, as our Boss, you are always in control. You even get your own small office team assigned to you and your own account manager. Don’t settle for less with poor imitators, try us out, there is no service agreement locking you in. And it is so easy to get started. Give us a call or visit our website to contact us today! Integration with ISN: America’s Call Center books your orders, pushes them into your ISN via a seamless state-of-the-art two-way synchronization, allowing your ISN to perform its duties automatically, no extra work for you, and without you having to assign additional users. They also handle the follow up calls, emails, and communication with the parties associated with the inspection (clients, agents, 3rd party services) to ensure your inspection appointments are fully ready for you. Includes Residential, Commercial, Mold, Septic, Pool & More! Add unlimited photographs anywhere in your report, edit them within the program. Add hundreds within seconds. Works great with thermal images. Specific template for Texas (TREC 7-3) inspectors. Runs on Mac, iPhone, iPad, Android, Windows XP through Windows 8 (32 and 64 bit machines)! Easy to use commercial and home inspection software that runs on Windows, Android, Mac or Linux! Integration with ISN: the HIP software will pull all of the inspection information from the ISN so you do not have to re-type any information. After taking your order on Inspection Support, information automatically transfers to your RecallChek phone app. All you have to do from your RecallChek App is take a picture of the appliance and data tags. Then with a quick click send to RecallChek, no typing needed! You can even tell ISN what inspection types you do NOT want to send over such as investors, re-inspections or insurance inspections. Integration with ISN: Inspection Support Network and the Inspector Services Group is constantly working to help you grow your business all while saving you time. Offering RecallChek is fast becoming a “standard” for growing inspection companies. Offering only a basic inspection without other services allows others in your marketplace an advantage. Find out how ISG can help you grow your business. • Insert all the digital photos you need for every line of the report. No Limit! • 3D automatically saves your reports at timed intervals so you don’t lose data! • Create a Summary Report on-the-fly, based on any criteria selected. • Instantly preview finished report and summary letter… anytime! • Inspector Notes for each field in a report- Access handy inspection reminders, codes, or record info that you don’t want printed on reports. Integration with ISN: 3D Report Writer will pull all of the inspection information from the ISN so you do not have to re-type any information. Integration with ISN: Whisper Report Writer will pull all of the inspection information from the ISN so you do not have to re-type any information. Book your inspection with the Inspection Support Network, then push all the information to your InspectIt / ReportPlus report writer with just a “click”! Integration with ISN: ReportPlus will pull all of the inspection information from the ISN so you do not have to re-type any information. Sync the information in your ISN to My Report Writer easily! Integration with ISN: My Report Writer will pull all of the inspection information from the ISN so you do not have to re-type any information. 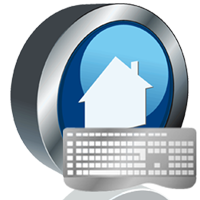 Fast – Create your home inspection reports as you inspect and eliminate the need for retyping reports. Record your inspection results as you inspect. Flexible – With Palm-Tech, you have control! You control the inspection points, all of the language and the way your home inspection report is presented and delivered. Easy to learn – Attend one of our free training webinars. In 60 minutes, we will teach you what you need to know to use Palm-Tech for your home inspections! It is that easy. Customer Service – Call us during business hours and you get a live voice in the US ready to help. Call us today at 888-736-2462 and see for yourself. Integration with ISN: Palm-Tech will pull all of the inspection information from the ISN so you do not have to re-type any information. Integration with ISN: Horizon will pull all of the inspection information from the ISN so you do not have to re-type any information. HomeGauge makes it easy to create professional home inspection reports and print them onsite or deliver them online. HomeGauge comes standard with templates for many different types of properties, including single family homes, multi-family, commercial buildings, energy, condos, mold, four point inspections, new construction phases, and also includes support for the Texas (TREC) format. In addition, you can create your own templates for just about any type of inspection you may need to perform. HomeGauge offers technical support and also tips on marketing your business. HomeGauge home inspection software is used by inspectors across the US and Canada, and is widely accepted by all the major trade associations. Integration with ISN: HomeGauge will pull all of the inspection information from the ISN so you do not have to re-type any information. Integration with ISN: Spectacular Home Inspection System will pull all of the inspection information from the ISN so you do not have to re-type any information. Create an impressive inspection report with the industry’s easiest to use “Voice Control” or use “Point and Click” navigation to build, edit, print and email your report. Click on Report Validation and get warnings if you missed inspecting an important item or did not add something required into your inspection report. Add, edit and then re-edit an unlimited number of photographs in your inspection report. Maintain a Global Library of reference photos for use in any inspection. Create your own reports by adding templates that include your specific systems and items. Inspect in true “Room by Room” mode by adding rooms as you go, or inspect in traditional “Systems” mode, or both, in the same inspection. Use Voice Command Technology with the Interspect Voice Module to build your report while you inspect by issuing commands via a wireless headset. Provide foundation or roof maps with auto-calculated area in your inspection reports with Interspect Sketch Module. Great for indicating the location of WDI! Include technical reference drawings in your inspection reports using Illustratit’s Illustrations. Just import them into Interspect. Integration with ISN: Interspect Software will pull all of the inspection information from the ISN so you do not have to re-type any information. ReportHost is home inspection software written by home inspectors for home inspectors. ReportHost’s design is easy to understand and use, while providing technology that is sophisticated. We manage your data and storage so that you can focus on your business: inspecting, and producing top-notch professional reports. No hidden costs ever – you pay only for published reports – no fees for Cloud access, mobile device, multiple devices or users, backups, upgrades, templates, customer support etc. Integration with ISN: ReportHost will pull all of the inspection information from the ISN so you do not have to re-type any information. Additionally, a ReportHost completed inspection is integrated with ISN and automatically uploads. ReportHost is fully integrated. produce a report of your findings to all parties. content, layout, and branding of your reports. Significantly saves time and cost. Users report up to 75% overall time saving. Unifies the inspection process throughout the inspection lifecycle. Automates inspection reporting in a transparent manner from project start-up to close-out. Adaptable digital solution for your business consolidates the entire work flow. enhances your brand and reputation. Establishes a readily accessible project history available 24/7 for immutable reports. Integration with ISN: Imfuna Home Inspector has a fully automated 2-way integration with ISN. the property order a report to be emailed out of ISN to all interested parties. No duplication. No redundancy. Highly efficient. We threw out all preconceptions about reporting tools, and instead analyzed how inspectors work both during and after the onsite inspection. The result is a revolutionary approach to inspection reporting. ● An intuitive interface that minimizes clicks and keystrokes. ● Dynamic Smart Templates™ that automatically jump start your inspection report based on publically available property knowledge. ● Effortless cloud syncing between tablet and web apps that happens automatically whenever you have a connection. ● Numerous customization options to tailor the report the way you like it. ● Features your buyers will love, like Smart Summary Pages, recall checking, and links to appliance manuals. Get started FREE for 1 year! Integration with ISN: HomeHubZone will pull all of your orders from the ISN so you do not have to re-type any information. Elegant, intuitive design translates to a more pleasant and speedier experience. Clear and straightforward design features, producing simple and clear reports. iPad’s are breakthrough technologies that bring the power of Apple to the palm of your hand. We amplify that knowledge. Designed for iPad & iPad mini. Power to produce is key. Fort Reports gets it done. Access your old reports from any device from you account. Send reports to any device. Integration with ISN: Fort Reports will pull your inspections out of ISN into it so that you do not need to re-enter the inspection information when you start your report. We help home inspectors save 1-2 hours per inspection. Don’t waste time writing reports after the inspection, use Tap Inspect to easily write effective reports while you’re performing the home inspection. Trusted in over 350,000 home inspections, 96% of home inspectors stick with Tap Inspect. With generations of home inspection experience, we set out to build the report writing software that we wanted to use for our own inspection businesses. The Tap Inspect mobile app is the easiest report writing system available and allows us to save up to 10 hours per week by publishing the report before leaving the property. * Save 1-2 hours per home inspection by completing report before you leave. * Tap Inspect is easy to learn and use with our library of demo videos. * Our inspection reports are structured to quickly communicate the info clients need most. * Call or email us for reliable technical support right from the app. * Upload company logo and attachments to personalize your report pickup page. * Securely back-up all reports, libraries, and templates on our web server in case your phone or iPad gets lost, stolen, or broken. Integration with ISN: Tap Inspect will pull your inspections out of ISN into it so that you do not need to re-enter the inspection information when you start your report. The Homeworthy Inspection System is the culmination of 25 years building inspection experience. Bob Sternberg, the creator of Homeworthy, is introducing the system publicly with a vision to drive the future of building inspection. 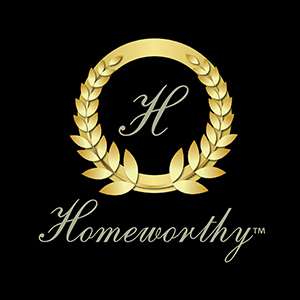 Homeworthy is proudly utilizing the excellence in inspection scheduling with ISN to bring the full service to the inspection industry by fully integrating all of our features as a one stop solution! At PASS, we know how difficult it can be to be in a crawl space or on a roof while trying to schedule an appointment. Let the experts at PASS provide the sales, scheduling and virtual office services that will help grow your business. Our owners are also inspection company owners so our knowledge of inspections surpasses our competition. Our representatives go through exhaustive training including attending a live inspection. This provides PASS with a knowledge base that helps us to properly sell your business and services as if it were our own. Our ability to schedule directly in ISN can provide you the most up to date, real time information so you know what is happening with your schedule any time you check it. At PASS, we are dedicated to the success of your business! After all, our success depends on your company’s success. Integration with ISN: PASS takes orders for you and adds them to your ISN. They also handle the follow up calls and communication with the parties associated with the inspection. Simple Solutions is a call center that works exclusively with home inspectors, just like you. We pride ourselves on our professionalism and knowledge of the home inspection industry. Integration with ISN: Simple Solutions takes orders for you and adds them to your ISN. They also handle the follow up calls and communication with the parties associated with the inspection. What is the impression your potential clients get when they call your business? With your incoming calls answered and resolved, you can spend more time doing things that make you money. With Calls On Call your customers will not know that you have a shared receptionist taking care of your phone calls. Calls On Call can schedule clients on your calendar, monitor your email and take care of light administrative tasks. You can train your shared receptionist as if they were your own in house receptionist. Answer the calls you miss. Calls always ring at your office first….that way, you have the first opportunity to pick up the sale. Perceptionist replaces voicemail, not your local office. Schedule an appointment. The only way to stop the caller from shopping is to answer frequently asked questions and by providing them pricing and scheduling information. Only pay for scheduled appointments! …all other calls are FREE! Integration with ISN: Perceptionist takes orders for you and adds them to your ISN. Inspector Call Center is more than just an answering service: we’re your extended office. With over 20 years of experience within the home inspection industry, we have progressed with the times and gained extensive knowledge on how to add value to the services you provide. Give your clients the personalized, attentive assistance that our professional staff can offer, and start a reputation for building amazing customer relationships. Also, our calls are never outsourced to foreign countries! Your customers talk to native English speakers who live in the United States. We can help you schedule inspections, follow up on sales leads, provide customer support, assist you in selling add-on services, and much more. Our appointment scheduling and other services will be integrated within your ISN system, so you can maintain complete insight and control over your business. Give your clients the quality experience they demand, and give your business an edge with Inspector Call Center! 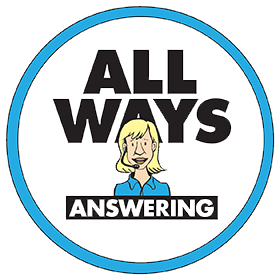 Integration with ISN: Inspector Call Center takes orders for you and adds them to your ISN. Our highly skilled team at All Ways books home inspections, make scheduling changes, and adds additional services to your inspections directly into your ISN calendar. Our operators up sell testing and know how to close the deal. Every inspection company is different so we personalize your service to fit your individual needs. We can text or email messages to you so you always have the most timely and accurate information. We can also call you with any urgent messages or last-minute changes. You tell us what you need us to do. All Ways has that down-home feeling while staying professional. Callers think we are sitting in your local office booking their home inspections. We always SMILE when we answer your phone. Open 24 hours a day * 365 days a year as people want immediate results these days and catching one missed booking can pay for your answering package for many months. Integration with ISN: All Ways Answering books directly from within your ISN. Integration with ISN: Inspector Services Group takes orders for you and adds them to your ISN. They also handle the follow up calls and communication with the parties associated with the inspection. Right now HON is offering inspectors the most incredible marketing tool! Free Premium memberships ($249 value each) to the Home Owners Network for every one of your inspection clients. Add value to your inspection service and attract more agents and clients! Annual registration is $799 but as an ISN user you save $200. Join today for just $599 a year to receive unlimited HON Total Home Support memberships to gift to all your clients. You can active your HON account right from your ISN account. Contact us today for assistance and account set up. • New users to HON and HON Pro will be charged $599 or $50 a month. • Inspectors give away FREE HON 1 year memberships ($249 retail value) to their inspection clients in unlimited quantity. • HON Pro (live support for inspectors) is included free for current inspectors and included in the new pricing structure. Basically, use HON through ISN and get HON Pro ($49 a month value) FREE. • Home Owners are free when they receive their membership from an inspector always. Integration with ISN: ISN Automatically submits your inspections to HON if you choose. Add a valuable service to your home inspections and help your business in the process. HomeBinder is an electronic filing cabinet for the homeowner to store any type of information about their home including paint colors by room. You can add recommended home professionals (painters, plumbers, electricians), set up a maintenance schedule and even offer a recall notification service to your clients all for one low monthly fee. Plus, each maintenance reminder email (“Time to change the central air filter”… “Clean Gutters”) will be branded with your information and contact details. Use HomeBinder to help drive future referrals. Work with real estate agents? Let them know you will add their details to HomeBinder as well to keep them part of that homeowners records.No information is shared with any third parties and no future fees are due the homeowner. Integration with ISN: Automatically submits information to start the binder. NoticeWare Reporter is the easiest to use, professional on-site Inspection Reporting Software available. Reporter has been designed to create reports quickly and efficiently, without a steep learning curve. Once you have created your reports using our templates or your own customized template, it’s easy to print them on-site or deliver them online. Includes NoticeWare Reporter Mobile for Android! Step 1: Login to your Applica ‘Brand-Builder Dashboard’. Step 2: Go to ‘Subscribers’, and then to ‘Synchronization’. Step 3: On the Synchronization screen, add your ISN username, ISN password, and ISN Company Key. If you need help finding your Company Key, just click the link there to see a tutorial. Step 4: Turn the synchronization toggle to ‘ON’. And that’s it. With your synchronization turned on, every time you login to your Applica Brand-Builder Dashboard, it will automatically synchronize to your ISN account, so that you will see your latest ISN contacts in your Applica account. And on the first of every month, just before your Home Wizard e-Newsletters are sent out, it will also automatically synchronize to your ISN account. Together you have a powerful end-to-end solution that combines the business automation software of ISN with tools from Applica’s Home Wizard that will help you generate referrals and repeat business by keeping you in on-going contact with your clients. Integration with ISN: Applica / Home Wizard will pull all of the client contact information from the ISN so you do not have to re-type any information. Amerispec® Home Inspection- Highly trained home inspectors provide comprehensive inspection services for buyers, sellers, real estate agents and more. 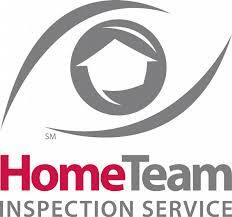 When you need a professional home inspection, trust HomeTeam, the leading home inspection company in North America. For more than 20 years, home buyers, home sellers, and real estate professionals have recognized HomeTeam for being fast, trusted and accurate. Discover the HomeTeam difference. The HouseMaster home and building inspection franchise system was founded in 1979. Since then, we have grown to over 370 local offices whose inspectors have collectively performed over 2 million inspections. We are the oldest and most respected name in home and building inspections throughout North America. Our staff has been featured numerous times in national and local broadcast as well as print media and online. No one is better prepared to deliver objective, expert home and building inspections and reports. 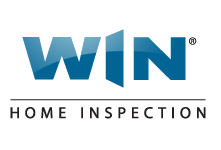 WIN Home Inspection (WIN), founded in 1993 in Seattle, Washington, has developed a U.S. network of home inspection professionals, making it one of the fastest growing home inspection companies today. WIN began with home inspection business franchises in the Pacific Northwest and within a year, not only dominated this regional market but has since expanded across the U.S., with more than 168 locations in 28 states. Founded in 1987, National Property Inspections is one of the oldest and most respected names in the home inspection and commercial building inspection business. NPI inspectors perform home inspections and commercial property inspections throughout the United States and Canada. In Canada, we operate as Global Property Inspections (GPI). NPI provides services to a wide variety of clients, including home buyers and sellers, commercial property investors/owners/tenants, real estate agents and attorneys, employee relocation companies, banks, and field service companies. Whether you are looking for a home inspection,commercial building inspection or any type of property inspection, NPI offers the services you need through our trusted, highly trained and experienced inspectors. Inspect-It 1st® is the Nation’s Premier Property Inspection Franchise, servicing buyers, sellers, real estate agents and others with our professional home and building inspection services. Since 1991, we’ve been the inspection firm of choice for those who want the best local inspection services. Our industry leading inspection report, training and experience, and level of client care are simply unmatched. If you are looking for the venture of starting your own home inspection business or you are already a home inspector who needs a proven, affordable franchise system, The BrickKicker franchise program can help! The BrickKicker has home inspection franchise opportunities across North America. Our home inspection franchise opportunity will provide you with a “Blue Print” for owning your own home inspection business and achieving the American Dream. For some, this dream becomes a challenge filled with enough desire and energy to carry them beyond the realm of current occupation toward a self-made career which reflects their true character and entrepreneurial spirit. When A-Pro was formed in 1994, our foundation rested on a unique concept: Introduce the element of accountability into home inspection, and furnish clients with a report that offers them protection – not just an opinion. 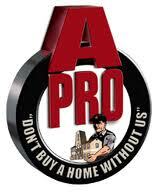 This idea launched “The Only Certified Home Inspection with Guaranteed Protection” that A-Pro is renowned for. Exactly how do we protect our clients from undiscovered or unreported issues on an inspection report? Simple. We pay for the repairs ourselves. A-Pro is also the first company to structure a home inspection that offers unique benefits to all parties concerned: the buyer, the seller and the real-estate professionals. In doing so, our inspections seek to promote successful real estate sales rather than hinder them. Today, A-Pro stands as a respected industry leader and as a continuing force for innovation in the home inspection industry. 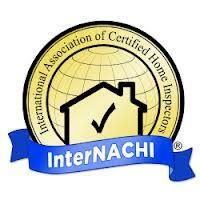 Our highly-trained, ISHI® & CHI® and PHI® Board Certified professional members of A-Pro are dedicated to providing our clients with the most comprehensive, advanced home inspection techniques in the world, bar none. We will conduct a professional non-invasive inspection of the property, designed to provide a snapshot of the observable condition of the home and related systems at the time of inspection. Provide a clear concise report, in a timely manner, to assist our client in their decision making process. We will do this to the best of our abilities in accordance with the American Society of Home Inspectors (ASHI), the National Association of Certified Home Inspectors (NACHI), and our company’s Standards of Practice. As a growing company in the midst of creating thousands of jobs, A Buyer’s Choice has been featured on Fox News during their “On the Job Hunt” feature. A work from home franchise opportunity with A Buyer’s Choice Home Inspections offers you the chance to change careers, own your own business and become your own boss, without re-inventing the wheel. Our low cost franchise opportunity gives you the chance to fulfill your dreams of self-employment, job security and financial gain that comes with a proven method, without the high risk and uncertainty that plagues the traditional business marketplace. The Millionaire Inspector Community consists of inspection company business owners all over the country. From one man teams to the biggest inspection companies in the country you will learn how to move to your next level of success. One-on-One coaching, weekly conference calls, Master Mind groups, small group sessions and more are all part of this supportive community. Mike Crow the founder is an industry leader, speaker and trend setter. If you are truly interested in personal and business growth the Millionaire Inspector Community will surround you with the tools you need. Learning from the coaches and other focused business owners is an equation for your success. Inspection Support Network can automatically send over your client information to InterNACHI if you are part of the InterNACHI Buy Back program. ISN always strives to give you choice and make your business run smoother while being more streamlined. Saving you time and money. when inspector logs in to QR Inventory mobile application, he can select from a list of addresses pulled out from ISN orders. when he installs radon test, home address, home owner and agents information is pulled out from ISN and is pre-filled on the form. In general, QR Inventory is inventory and asset management software, and allows to track any kind of inventory and assets by scanning QR code with a smartphone, create and fill out custom mobile inspection forms and fill them out on a smartphone,access asset information on site by scanning QR code. Admin web based dashboard provides real time access into inventory stock, assets location, submitted inspection forms, transaction history and usage statistics.